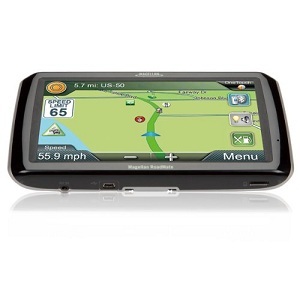 The Magellan RoadMate RV9165T-LM is one of the most convenient RV GPSs we have come across on the market today. It can help a user make the most of his or her journey, by providing accurate directions and can be used as a personal navigation device. The routes chosen by a buyer can be customized according to the type and size of the vehicle or RV he or she owns. Countless consumer reviews recommend the Magellan RoadMate RV9165T-LM for its excellent capabilities. However, there have been some buyers who have emphasized that the device comes with default U-turns, and some individuals might find them difficult to use them if they are driving a larger vehicle, a tractor trailer or a longer RV. The recommendation of these consumers was to deactivate the U-turn feature if you were using a large RV. 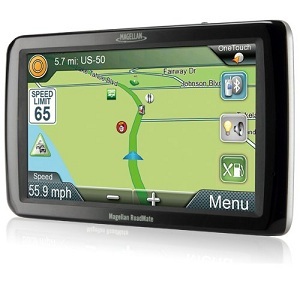 The Magellan RoadMate RV9165T-LM is one of the largest GPS navigators out there. Its 7-inch display practically makes it impossible for the driver to miss taking the right road. Although the display is touchscreen, it goes without saying that you should try to operate the device particularly when you are not driving. After all, not paying attention to the road may pose a health risk to your safety and the one of the other drivers. As previously mentioned, one of the most important advantages of picking this model is that it allows users to customize the settings according to the vehicle’s length, weight, and height. Adjusting the functions of the device this way will automatically turn driving into a more pleasurable experience, as you won’t have to go through the trouble of finding other ways of getting to your destination. The neat thing about buying and using the Magellan RoadMate RV9165T-LM is that it is versatile enough to be installed on vehicles with deep dashboards. In fact, the unit comes with a Duty Extension Mount which can be utilized in this sense. This way, buyers can visualize the traffic and map updates both safely and effectively. They can finally stop worrying about the GPS getting broken on account of the mount or because it’s not a great fit for their windshield. Easy mounting makes a lot of difference when buying a brand new RV GPS, and fortunately for the people who are still prospecting the market, the Magellan Roadmate comes with this exact advantage. Yet another great plus of the Magellan unit is that it allows buyers to make safe, hands-free calls. How does that happen?, you might ask. The model has a built-in Bluetooth connection, which means that the driver will finally have the opportunity to utilize it as a speakerphone. With the A/V Input of this device, users can view movies or attach the Magellan Back Up camera. The package contains the actual GPS receiver, a set of pre-loaded maps of the United States, Canada, and Puerto Rico, a vehicle power adapter, a heavy-duty extension mount, a USB cable, a 12V AC adapter and a quick start guide.